If you've stepped into the Garden Suite at Summer Pavilion that evening, you might have wondered if you had accidentally intruded into a diplomatic dinner. Everyone was suited up prim and proper—there were Chanel tweed suits in every single possible colour—and the ladies sported pearl necklaces and sautoirs, pillbox hats, satin gloves and perfectly coiffed hair. But there was no political tension in the air, just a sense of conviviality. 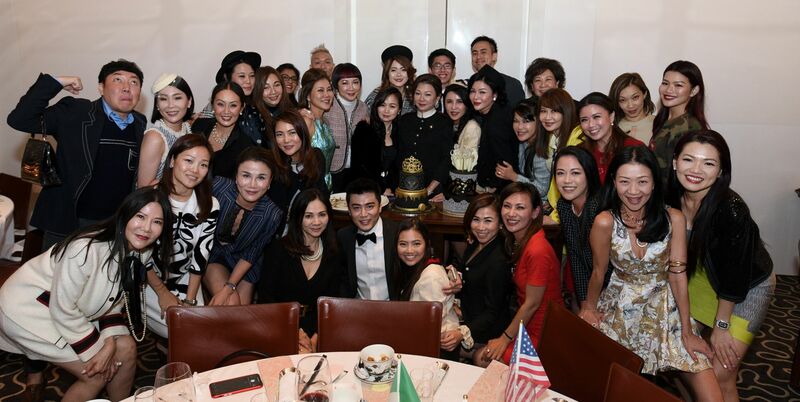 It was after all the party to celebrate the birthday of Singapore Tatler friend Angela Ng, who themed it like a presidential dinner and organised it like a hostess with the mostest. Flutes, glasses and tea cups were constantly filled to the brim with the finest champagne, wine and Chinese tea, while the kitchen at the one-Michelin-starred restaurant rolled out dish after dish of innovative yet wholesome culinary treats. What more can one ask for from the First Lady?